This is the second book in the Royal Wedding Series and follows a new main character, Regina Beswick. In the first book Once Upon a Prince, the main character Susanna met and fell in love with a prince and it reminded me of the movie The Prince and I (which is one of my all-time favorite movies when I was a teenager) as I read it. One of the plots of the first book is them trying to find the heir to their neighboring country, the Grand Duchy of Hessenberg, this plot is the main driving force of the story line in Princess Ever After. Much like in Once Upon a Prince, Regina is an American who grew up in Florida and learns that she is the believed heir to Hessenberg. (Think Anastasia.) Regina, or Reggie, is visited by the Minister of Culture, Tanner Burkhardt, and after he convinces her she is in fact the long lost princess to his native country Regina follows Tanner back to Hessenberg. Because of her American background and the turmoil of having a potential monarchy again, Regina faces opposition both within Hessenberg and with herself. I enjoyed this story as I did the first. It’s cute. That is the best word to use of the story and the characters that grace the pages inside. I found Regina to be a bit more stubborn and slightly less confident than I like to read in main female characters, but in the end she figures it out. This is a light and lovely read with romance and a villainous Prime Minister that will make you cheer for Regina to succeed as Hessenberg’s new ruler. And as I like to often mention this is a Christian Lit book and it does have a spiritual theme throughout, so if that’s not for you then you may want to skip this book as well as the entire series. But if that doesn’t bother you then I suggest checking it out. 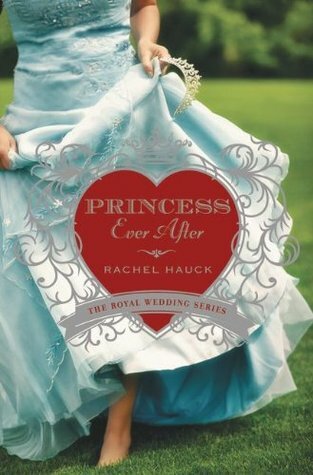 I really like the writing of Rachel Hauck and she has become and one of my favorite authors over the last year.